My time in Russia is hard to narrow down to a single meaningful moment or experience to do a short blurb about. I studied there for an entire school year, and having never previously left the country, I was trampled with new and foreign experiences (both good and bad) the moment I landed. The experiences ranged from going to The State Hermitage in the Winter Palace in St. Petersburg and seeing literally millions of pieces of priceless and original artwork from seemingly every artist ever born, to the small, rural town of Pskov and the area Pushkin was exiled: to the huge, looming, infinite skyline of Soviet era architecture of Moscow, plus everything else in between, including all of the Russian friends I made. I am undecided as to which to write about, and could not say which one is the most significant. 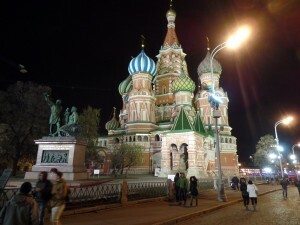 But, taking a step back and looking at it all, one of the big events that stands out for me is my trip to Moscow, and seeing Red Square, the Kremlin, and Lenin’s Tomb. 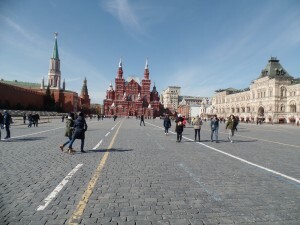 Standing in THE Red Square, in Moscow, at the base of the Kremlin’s wall, with the tomb of Lenin to my side is when the realization hit me: how important the place I was standing and how pivotal of a role it had played on world history. From when Moscow was first founded a little under one thousand years ago, to its impact on WWII, and shortly after, through the decades of the Cold War. The man who had dissolved the Russian Empire and created the USSR, the Communist himself, was embalmed fifty meters to my left, at the base of the Kremlin and across the square and the high end shopping center located there. It was humbling. Fast forward several months to my last day in Saint Petersburg, I climbed to the top of St. Isaac’s Cathedral to get one last great glimpse of the city. The nine months of winter had ended, and there was actually a bit of sunshine, so the view I got of the rooftops and city scape was incredible. 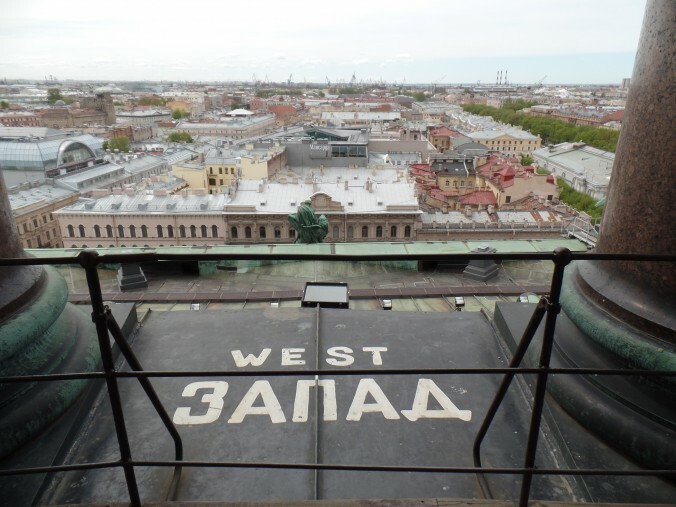 Sitting at the top of the Cathedral’s dome, which had survived the siege of Leningrad, looking at the word “ЗАПАД”, Russian for “west”, and looking straight ahead, to the 12,000 miles to the west coast in the USA, I was again humbled by how large and important this city was. 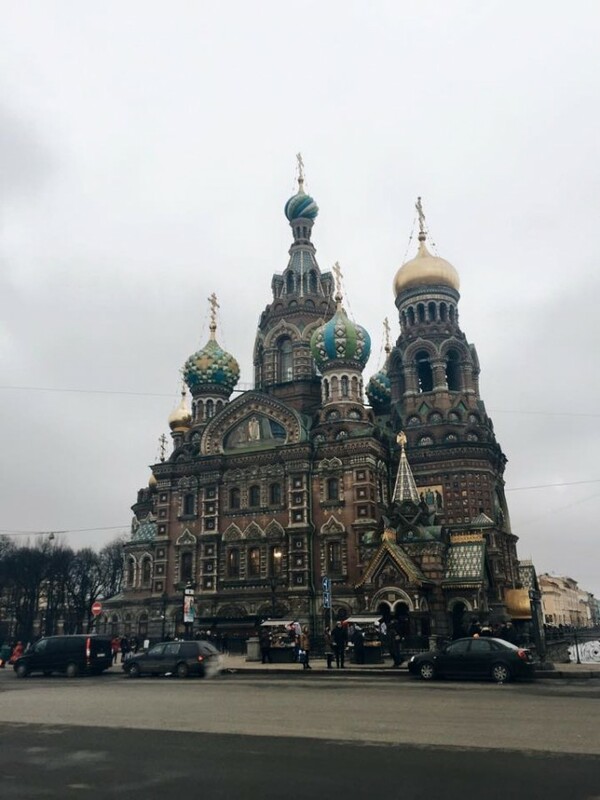 My time in Russia was a fantastic adventure, and was one of the best learning experiences in my life, and not only for developing my Russian language skills. The two experiences above though stick out to me particularly well, as they encapsulate how different and far away Russia is from what I was used to, and how they made me realize the importance of the area I was studying in. 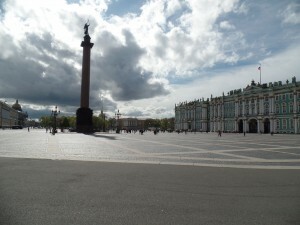 Moving to St. Petersburg, Russia for four months lovingly ripped me away from all I had been surrounded by while growing up in Oregon. A person’s beliefs are greatly shaped by their family, location, and culture, and I was raised with very similar beliefs to nearly everyone with whom I interacted. Many people who are born, raised, and stay within the same region for a long period of time may never truly be exposed to differing beliefs from their own. Once a person travels or moves to a different region and is exposed to people of different cultures, there can be real culture shock upon realizing how and why beliefs can differ. This was the case for me when I began traveling around the world, meeting people from different cultures and opening my eyes to new beliefs and values. Learning all this out in the real world rather than in a classroom has made all the difference in opening up my perspectives – no matter how often we learn about different cultures and worldviews in class, there’s no experience like actually meeting people who are completely different from you and learning about their lives and beliefs. As I prepare to graduate from college and move on into the real world, I realize that having a global perspective is one of the most useful tools is pursuing any career, especially my future profession in international politics. I believe that this is absolutely the most significant learning experience from my time abroad and that these newfound ideas will follow and shape me for the rest of my life.